By the staff of Dirt Wheels with Mike Palmgren. 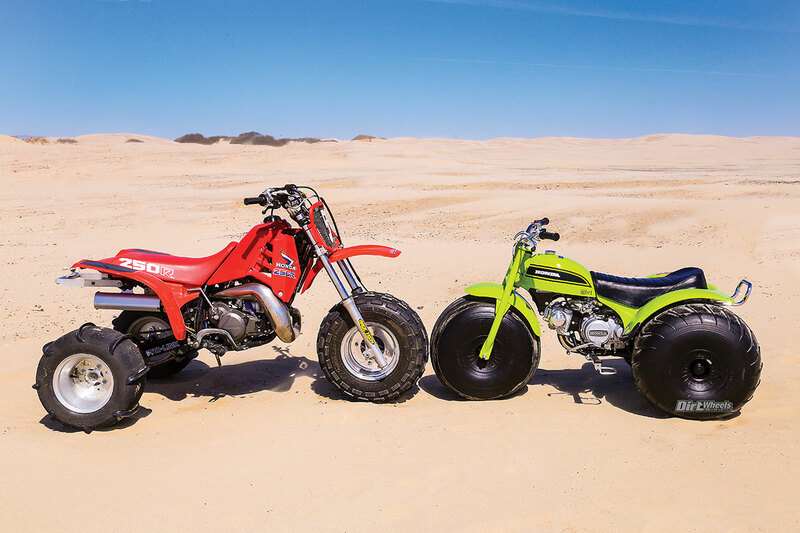 A Parrot Green Honda US90 where the ATV world began and the Honda ATC250R that was the end of performance three-wheelers from the company that created them. 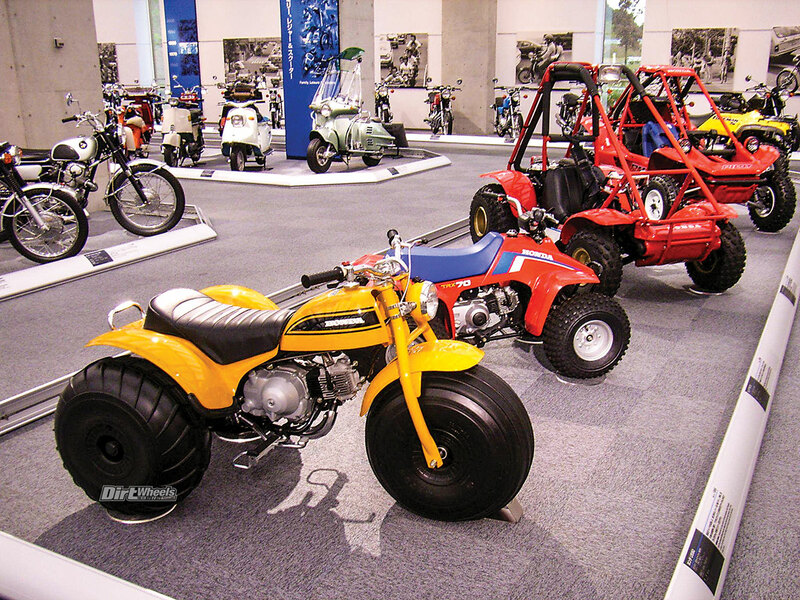 ATVs survived and thrived, but the 1980s were the troubled end for three-wheelers. As we rolled up to Oceano Dunes SVRA, we were curious where the test subject was hiding. A lot of truly pristine machines roll through Dirt Wheels, but this better-than-new 1970 Honda US90—the very first ATC—arrived in a new level of luxury. Vintage Motorsports owner Mike Palmgren (www.vintagemotorsports.net) and Nick McCabe opened the climate-controlled back of a luxury SUV to reveal the machine resting on the carpet. 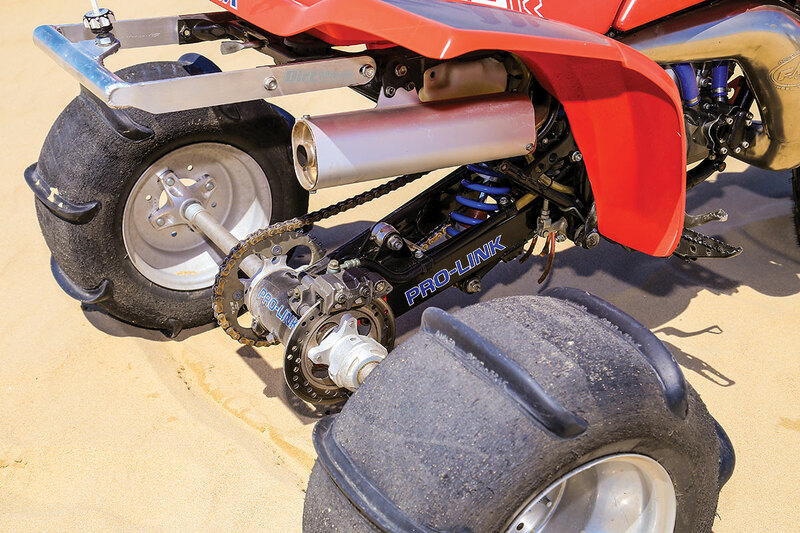 The machine was lifted out like visiting royalty, with its ultra-rare, hyper-valuable original tires hermetically sealed in plastic, and the too-perfect US90 was reverently set on the Pismo sand. Pappas’ ATC250R required considerably more skill and caution to play on than the 90. His ATC is powerful with super traction thanks to the paddle tires. They were easier to ride with stock tires. As successful as Honda was in the late 1960s with motorcycle sales, no amount of quality or performance for the available two-wheeler line-up could get dealers through winters in areas with extended snowy winters. Honda instructed US90 project leader Osamu Takeuchi to come up with a product that could and would sell in the winter. The all-terrain-vehicle market barely existed in the 1960s, but one of the available amphibious six-wheelers was featured in Honda ATC development. 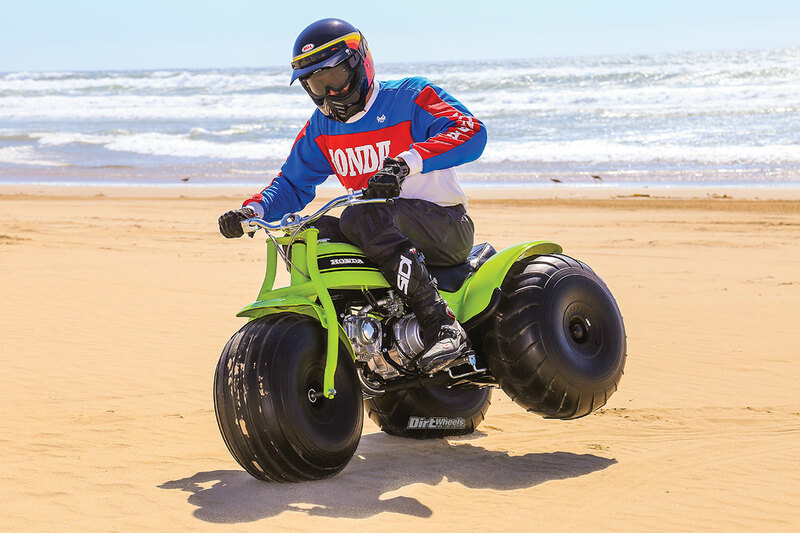 American Honda sent some of the six-wheeler’s high-flotation tires to Japan. Unlike current ATV tires, those early tires were complete; they didn’t mount on rims. Recommended air pressure was between 1.5 and 2.0 psi. The tires met one design goal—a machine that was very easy on terrain. In fact Takeuchi wanted less impact on terrain than a man walking! After deciding on the high-flotation tires, he presented six variations for approval. Tim Pappas is over 6 feet tall, but he was happy to fold onto the 90 for some fun. He was able to handle the power you get from 89cc and a 15mm Keihin carburetor and still have fun. Pismo Beach, now known as Oceano Dunes SVRA, is more than the single spot on the planet that saw the most US90/ATC90 use. Honda insisted that the US90 be kept a simple design with only the tires for suspension and a price under $600. 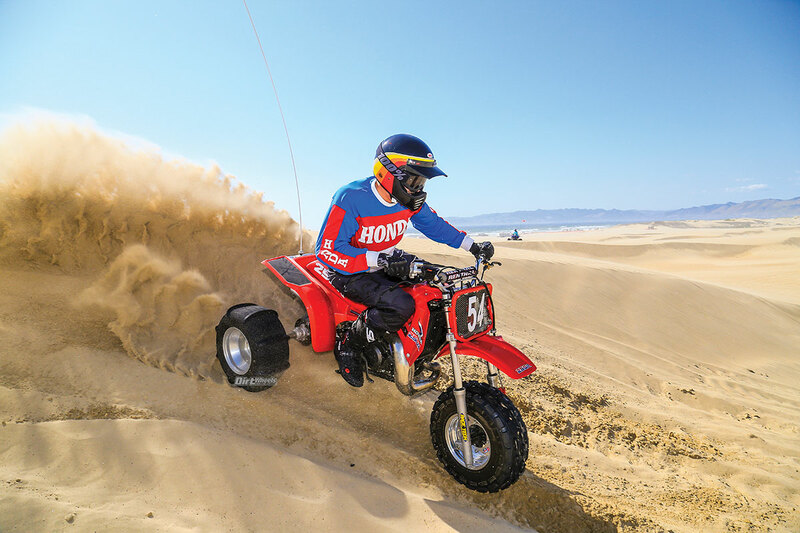 To excite and educate dealers, Honda used production parts to hand-assemble 130 machines for a huge, week-long press introduction at Pismo Beach. Honda could not possibly have known the far-reaching effect that the lowly US90 (later the ATC90 after Honda trademarked the ATC designation) would have on off-roading and the industry. They admitted that the number of people that embraced it for work was a surprise. 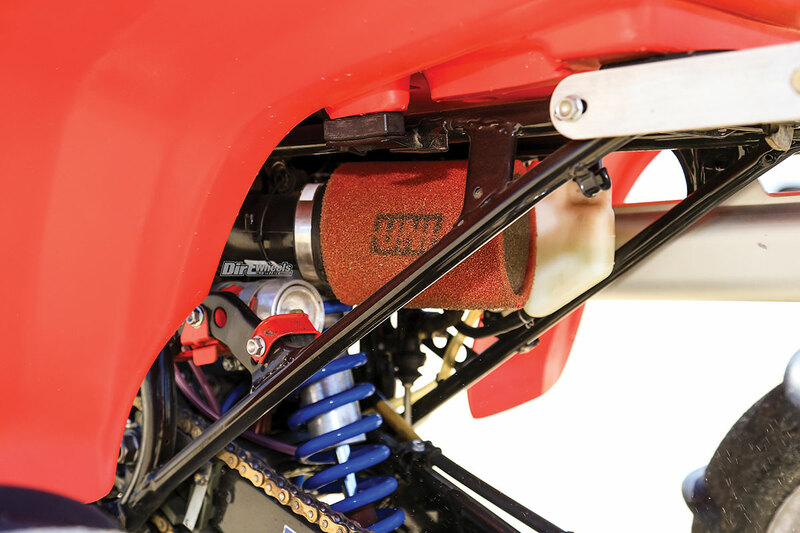 It is unlikely that Osamu Takeuchi could have imagined Honda ATCs leaping over 100 feet on motocross tracks or being competitive in the Baja 1000. Vintage Motorsports’ Mike Palmgren calls this Parrot Green 1970 US90 restoration, “As perfect as I have ever built.” It is stunning to look at and still fun to ride. It hides being 47 years old quite well. Even the 1970 Honda graphics treatments were designed to make the ATC90 look fun and safe. Honda was careful to keep the power mild. 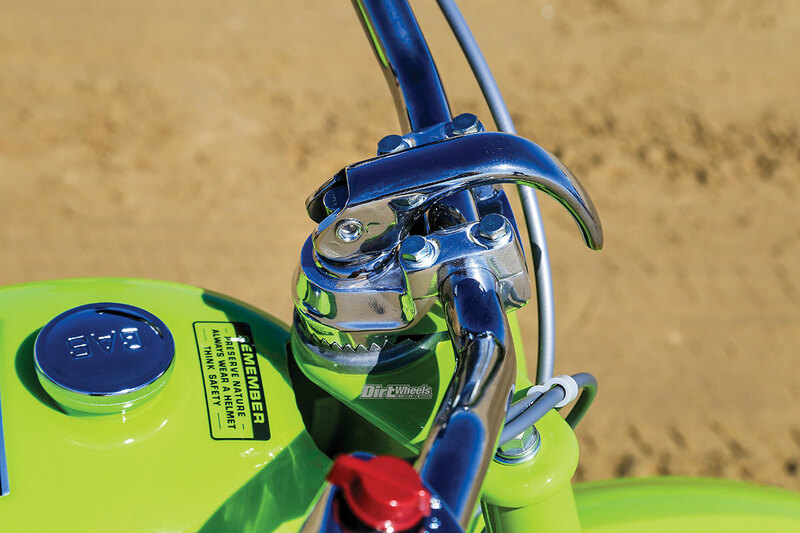 This clever flip lever allowed the handlebar to fold and rotate, then be locked back in position. The concept, like the engine and switch-over low-range transmission were borrowed from the CT90 trail bike. 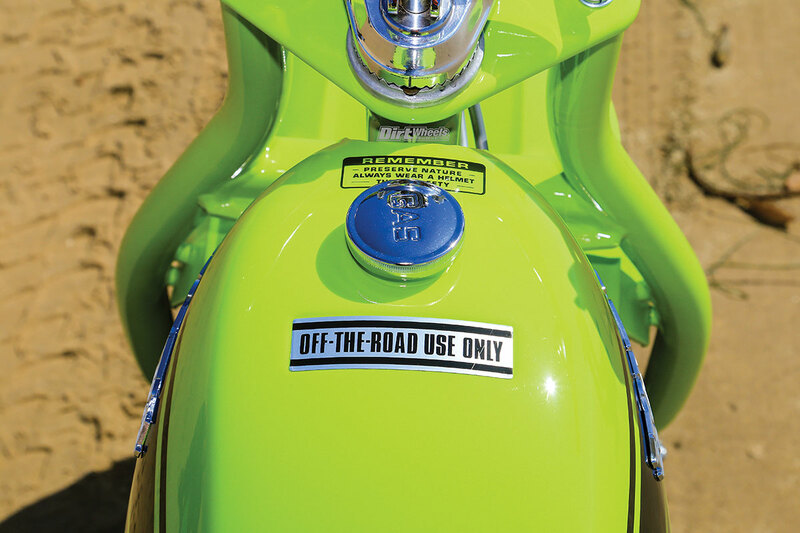 Motorcycles of the era didn’t find the need to label the gas cap, a concession that signaled Honda was marketing the ATC90 to customers unfamiliar with motorsports. At this point the ATC is 47 years old and now a collectible. A significant number of those wanting to relive owning the original three-wheeler contacted Palmgren. He has restored about 15 of these fun little machines, so when Honda wanted a US90 for its Collection Hall in Japan, it contacted Palmgren. Seeing the coming collectability, Palmgren collected as many new old stock parts for the machines as he could. He realized that he could build a complete US90 from new parts—not a restoration, but a hand-assembled, brand-new 1970 three-wheeler. 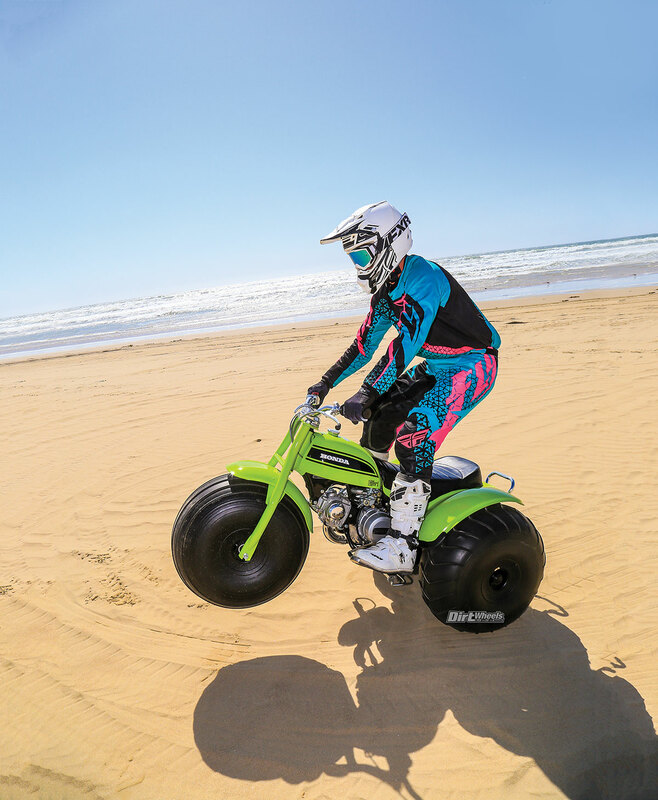 He felt that the machine should debut at Pismo Beach like those 130 pre-production machines at the original Honda intro, and he offered to share the occasion with Dirt Wheels. A machine can only be new once, and the US90 rimless tires are so rare that they cost as much as $4000 a tire. Palmgren started to question his decision to take this irreplaceable new machine into a saltwater and sand environment. We were actually starting to question his decision as well, so we were game when he called to ask if we would settle for a full restoration. Palmgren’s friend and customer Tim Pappas brought his modified, but largely perfect, 1986 ATC 250R. 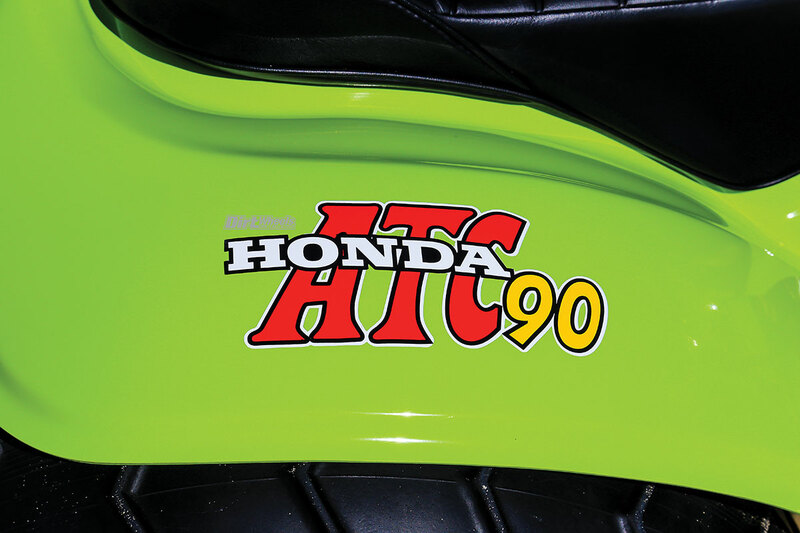 So, we had the beginning ATC story with the US90 and the end with the final version of the most powerful and capable Honda three-wheeler ever made. Tim Pappas’ modified but stunningly preserved ATC250R is representative of the best modified play machines of the era. It isn’t actually race spec but what a serious duner would have owned. 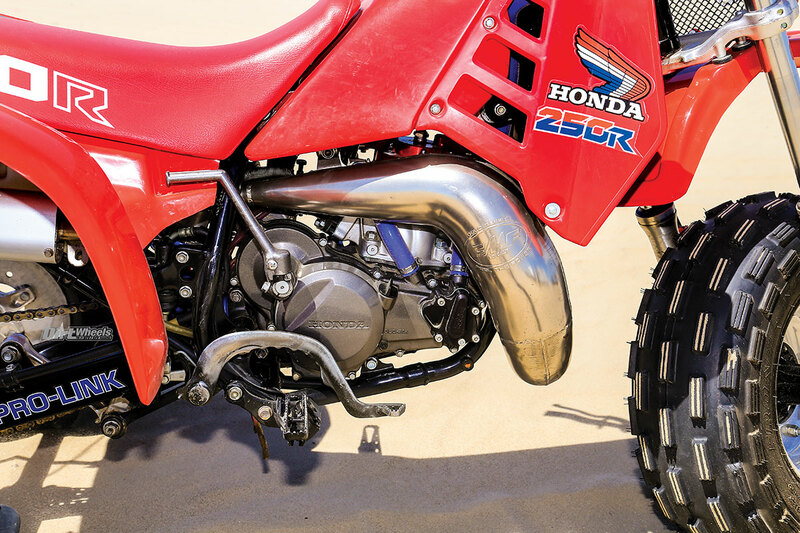 Honda’s clever forward-kickstart system and the FMF pipe are all good stuff, but how about those skinny footpegs? We have definitely made progress over the decades. In stock form the ATC250R was shockingly quiet and civilized yet potent. 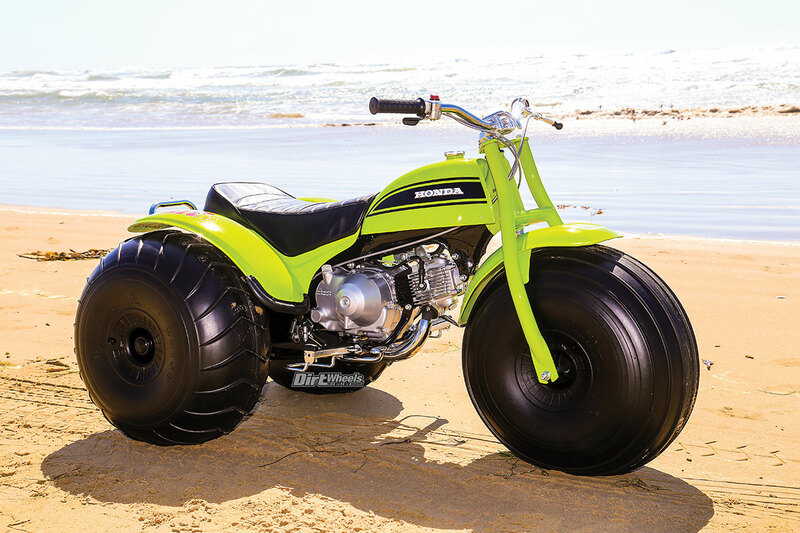 Paddle tires, engine and exhaust mods, and suspension upgrades sharpen the performance of Tim Pappas’ three-wheeler. Whoever built this machine decided that the airbox was superfluous and instead went with a pod-type Uni filter. The US90 predates Dirt Wheels by more than a decade, so none of the staff had actually ridden one before. Pull-starting the 89cc SOHC engine is a breeze, and the altitude-compensating carburetor let the tiny engine respond cleanly. Performance is leisurely, with a claimed six horses on tap to motivate the 200-pound machine. The engine is closely related to the Honda CT90 trail bike, so it has a trail switch on the transmission that drastically lowers the ratios for the four-speed, auto-clutch transmission. It effectively has eight forward speeds. The riding position is compact, but all the controls feel normal and work fine. Compared to modern machines, the US90 is happy and able to lift the inside rear wheel in turns. With the soft tires we could barely get the 90 to slide even on soft, smooth sand. We have a lot of experience with early, unsuspended three-wheelers, including the ATC110, and we dreaded the kidney-crushing ride. But, the rim-less, ultra-low-pressure tires offer far more suspension feel than later models that used normal rims and tires. We were shocked at how fun the tiny machine is. It is easy to see why the machine was such a hit and why it found a place on farms to move pipes and herd animals. It is thrifty, nearly silent and capable of handling all sorts of terrain. We didn’t spend a lot of time on the US90. Four of us rode it, but nobody wanted to be the first to bend or scratch it. Palmgren didn’t freak out, though he admitted, “I got a little carried away, and I show-chromed a lot of the parts to give it extra pop for pictures. 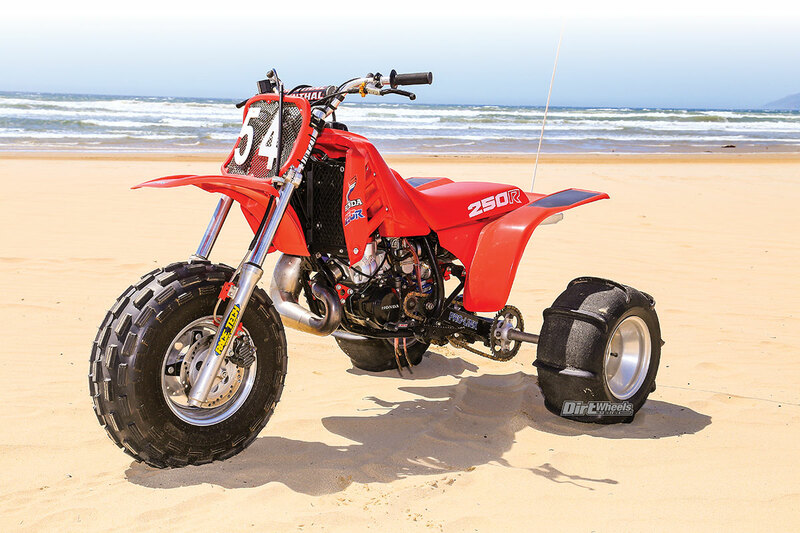 It is as perfect as I have ever built.” Unlike that first US90 intro, Dirt Wheels did have staff at the introduction of the liquid-cooled ATC250R at famed Indian Dunes. We were impressed with the ergonomic improvement over the air-cooled ATC250R, but it feels small by modern standards. The performance was amazing, and the liquid-cooled, counter-balanced engine was much quieter and smoother. The example we tested is a fully modified but impressively restored example owned by pro race car driver Pappas. Pappas wanted to buy a perfect, original, stock ATC250R, but the owner would sell only if Pappas bought the modified machine as well. As a collector, he first thought, “What will I do with the modified machine?” Then the obvious occurred to him—ride it. Pappas rode the machine hard, and then turned it over to us. Three-wheelers were less stable than quads, but they were also more nimble. It is impressive how fun a 30-year-old machine could be. No doubt Honda at least hoped that the car division launched the same year would expand to the point that it has, but we would be surprised to find out it had an inkling of the world and industry that the lowly US90 would create. Virtually anybody could ride the US90/ATC90 and have fun. It was small, quiet and non-threatening. And, it arrived at a time when dirt bikes were starting to get extremely serious with more power and taller seat heights. But, ultimately, the ATC90 became far more than something for dealers to sell in the winter months.